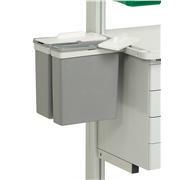 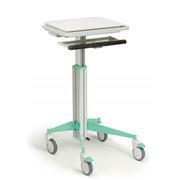 Ergo Medi Cart laminate and phenolic top. 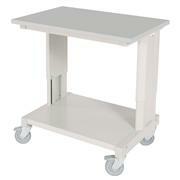 The Ergo Medi-Cart provides extra workspace for lab users. 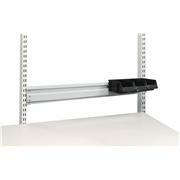 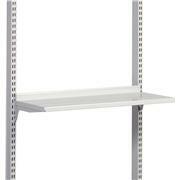 The height is continually adjustable from 25.59 to 35.43 inches. 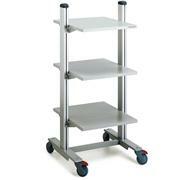 Trolleys come equipped with lower shelf and four swivel casters (Ø 3.93 inches), two of which have brakes. 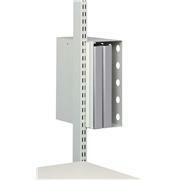 Binder box mounts to upright.